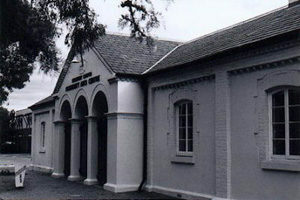 The society was formed to promote the discussion and the study of South Australia and Australian history, in particular the history of the District of Salisbury and to promote the collection, recording and classification of works, source material and artifacts of all kinds relating to the history of the District of Salisbury, and to facilitate access to the collection by all sections of the community in Salisbury. The Salisbury History Museum is closed mid December to February or if the temperature goes over 35C. There is no charge, however a donation would be helpful. May 3 and 17 – open 1.00pm, Town Walk at 2.00pm from Museum. $5.00 Adults (includes afternoon tea).